We walked slowly, along a path surrounded by trees, dappled sunlight spilling through onto our faces and arms. Hundreds of people moving as one Sangha body. I was eleven years old, my left hand holding another member of the children’s program, my right held gently by Thay. Each time my mind wandered, he seemed to know, gently squeezing my hand and inviting me back to the here and now. As our walk came to an end, we emerged onto a field of grass a short distance from the dining hall. Without missing a beat, Thay gentle brought his hands together in front of him, connecting my hand with the other child he had been walking with. Then he gently pushed both our backs, indicating for us to keep walking forward. I remember in that moment feeling such a strong sense of responsibility. Everything in the world seemed to fall away as my entire attention dropped into my breath and my feet. Each step felt like an eternity. We walked like this all the way across the grass, and up the stairs to the dining hall. About a year and half ago, I received news that Thay had had a stroke. I remember slowly sitting down on the edge of my bed, feeling strong emotions welling up inside. I smiled to them, inviting them in, curious what they were made of. And I saw my inner child sitting in a Dharma hall, looking up at Thay speaking to the Sangha. Tears streamed down my face as I held my inner child’s feelings of loss, a feeling that my beloved “grandfather” was not well. I breathed and sat with the sadness, but then I began to smile. I thought back on how it felt to sit with lay friends and monastics as Thay spoke, and remembered how he would invite us to stand up and bow to the Sangha before going outside to play and continue our practice. Shortly after hearing this news, I began dreaming about my walk with Thay. Remembering the way he squeezed my hand, and gently pushed us forward, silently inviting us to keep walking together. Reflecting, I realized that for me this is Wake Up. We have all been connected and invited to walk forward together. Sometimes it can feel like there is so much I want to do and see in the world, and my grasping, craving mind starts to run. But when I stop and breathe and touch my sense of interbeing with my fellow Wake Uppers, when I cultivate the sense of holding all of your hands, of gently stepping forward together, I feel totally at ease. When we gather to practice in our Wake Up Toronto Sangha, we sometimes take a moment to reflect on our international Sangha body. We notice all the non-Wake Up Toronto elements that are present with us in the space. Thay has shared that it is important to practice as a community, rather than in isolation. Cultivating this sense of connection with our global Wake Up community brings us a wonderful feeling of solidity and support, expanding our sense of Sangha and connection. 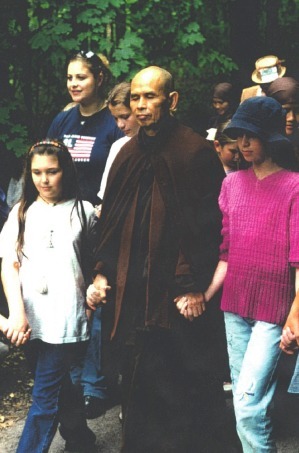 Community building is at the heart of many of Thay’s teachings. Brother Phap Dung once shared with me that “Community is a living thing. You have to take care of it. To take care of it you have to keep it fresh. And what keeps it fresh is being inventive, creative. You have to take care of it like a plant. Change the soil, change the pot, move it around, water it. Community is not fixed. It’s a living organic thing.” This quote reflects many qualities, which I value in the Wake Up movement. It also reminds me that we must nourish our community so that it may continue to thrive. Sangha building for each of us may look different. 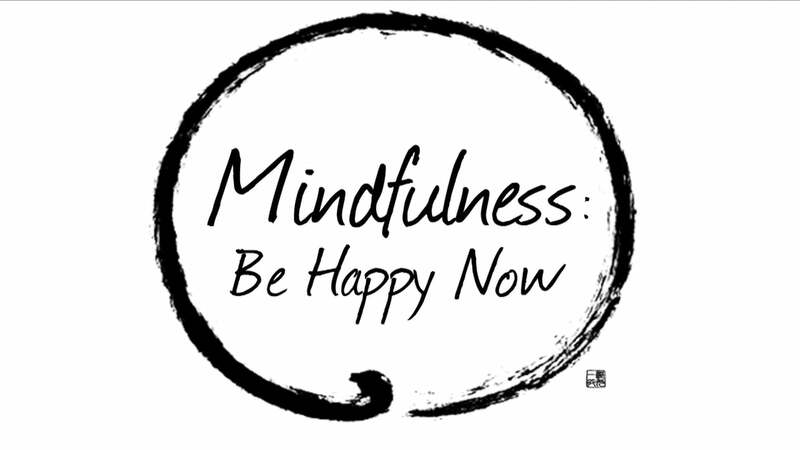 Sometimes I like to say that mindfulness is a “choose your own adventure”. For me, the beautiful thing is that we are walking forward together. I know you are there, and this makes me very happy. Elli Weisbaum is a member of the Order of Interbeing and a co-facilitator at Wake Up Toronto. She holds a Masters degree in environmental studies, focused on bringing mindfulness into education, and teaches in the Applied Mindfulness and Meditation certificate program at the University of Toronto. You can visit Wake Up Toronto’s Facebook page here.